Girls Go IT is an organization dedicated to to preparing girls for STEM studies and then for IT careers, through education and internships. The fourth annual Forum will bring together this community to celebrate recent achievements and discuss the future of this program and its participants. 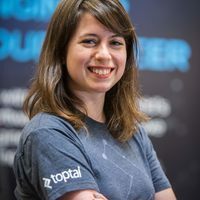 Oana Ciherean, a Toptal project manager, will speak at the event. Her talk will focus on creating a better world through technology. Why is technology important to us? What is its impact in the world? Can it be used to solve real problems that affect us all? What can I do now to make sure that we have a safe future? In this talk you’ll find out answers to these and other questions.